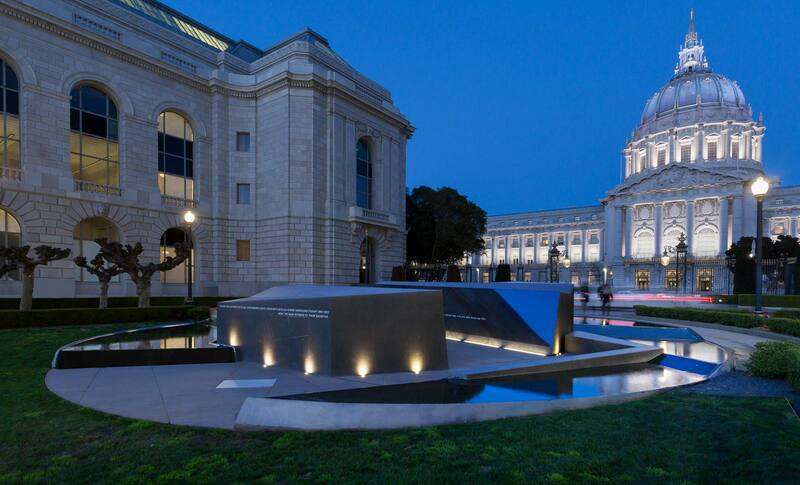 Located opposite City Hall and adjacent to the War Memorial Opera House, SFVM will provide a place of quiet remembrance in the heart of Civic Center. The basalt used in the monument prompted an extensive mockup and case study process to arrive at the best way to light the black, specular material. Narduli Studio, Architect.